PHOENIX, ARIZ. – SVN Desert Commercial has just announced a unique opportunity for RV park developers to build on waterfront property in Puerto Penasco, Sonora, Mexico. 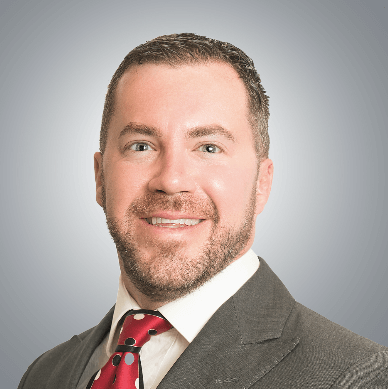 Senior advisor, Carrick Sears in Phoenix, Arizona has co-listed a 20 acre oceanfront parcel of land for sale in “Rocky Point” as it is commonly referred to. It is Arizona’s closest beach and is a common vacation destination for people who are willing to drive 3 – 4 hours. In fact, 85% of the 1,000 daily visitors come from AZ. It is easier to head to Rocky Point in 4 hours, than traveling 5-6 hours to get to LA or San Diego. This is why it makes a great opportunity for an RV Park Developer to have an international presence in a location that captures mostly American tourists. An undeserved market in Puerto Penasco exists for “big-rig” friendly sites. The majority of the RV sites in Puerto Penasco are “sub-standard” parks, offering sub-standard accommodations for the new breed of affluent, big-rig recreational vehicle enthusiasts. By “sub-standard” we mean the sites are short, narrow, hard to access, the streets are narrow, electric service amperage is low (30 amp vs. 50 and 100 amp), sites are gravel or dirt, clubhouse and amenities are aged or non-existent, and/or mobile homes and park models are intermixed with RV’ers. The waterfront site features beach access and views of gorgeous sunsets. The property borders the marina and is walking distance to downtown and entertainment venues. It is an easy drive destination from Tucson, Phoenix or Southern California. The highway to reach Puerto Penasco from Phoenix and Tucson has been designated a safety corridor in mutual efforts between Sonora and Arizona. The site has city services available making it ideal for developing a luxury RV Park. The current RV Parks in the market are below market conditions and leave much to be desired for the owners of high-end luxury RV’s. The seller is willing to sell the land outright or contribute the land into a joint venture to make the project a success if buyer desires. 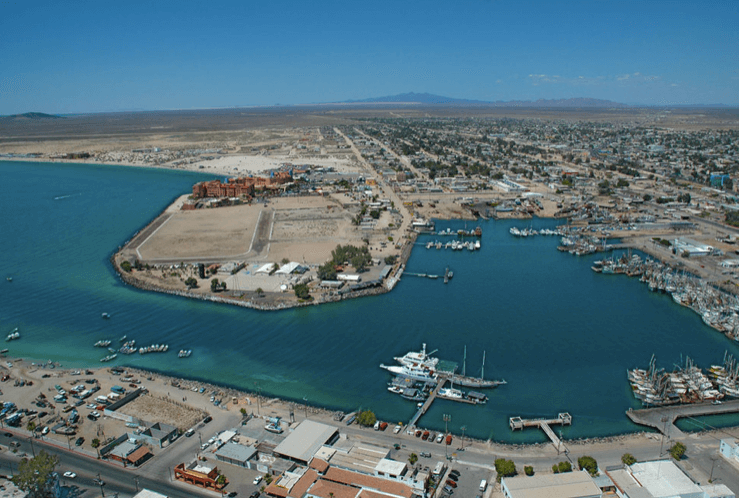 Economic growth in Puerto Penasco is alive and well. Plans are underway to begin non-stop air service from Phoenix Mesa Gateway Airport to Puerto Penasco’s International Airport with Air Swift starting in October with 2x/week service on a Boeing 737. Nearby in the city, plans are underway to develop a pier for outbound cruise ships, which will make this a departure destination rather than a port of call. Accordingly, tourists would be able park their vehicles here and embark on a cruise to enjoy a land based and seafaring vacation. The potential proposed development is for an RV Park that can support an estimated 120 RV lots, of which 80 are proposed for Phase One. RV lots will be sized from 35’ wide by 70’ in length (2,450 square feet) and 50’wide by 90’ in length (4,500 square feet). They can even include a casita next to the RV that includes their own BBQ, outdoor or indoor dining table, a kitchen sink, and a storage area etc. A full-array of amenities, including pool, spa, clubhouse, bocce and pickle ball courts, Wi-Fi, a fitness center, bath and laundry facilities, and pet-friendly accommodations could be provided. The luxury “Big Rig” ownership and rental market has gained and maintained significant market momentum in the last several years. The market for luxury motor homes (over $100,000 purchase price) has changed significantly over the last decade. Bigger coaches (up to 45 feet) with multiple “slide-outs” and large turning radiuses make the lot dimensions critical and the ease of entry and exit important. Resort cleanliness, safety, amenity package and location are also critical to a resort’s success. Today’s affluent motor coach owners generally have significant disposable income and are willing to pay more to have nicer accommodations. Sites must be easy to turn into, as well as a number of “pull-through” sites that allow a recreational vehicle driver to keep his tow vehicle (dinghy) attached to his or her coach as he pulls-into his site. “Back-in” sites are often chosen by longer-term residents for ownership use, but having a selection of convenient “Pull-throughs” makes a rental park attractive to the visitor. Interested parties are encouraged to call the listing broker Carrick Sears with SVN Desert Commercial Advisors at 480-425-5529 or via email at carrick.sears@svn.com for more information.